Thom, Flea and the lads lit it up (literally and figuratively) in April at our great Bowl, once again making Santa Barbara Yorke-town. Yeah, we’d prefer a whole Radiohead, the best live band extant on the planet, but we’ll “settle” for Thom Yorke’s tantalizing musical trills and dance tantrums any day of the year. Here’s a glimpse of the Bowl show (Videotape, solo piano), and below it a representative segment (Cymbal Rush from Coachella). But perhaps best is the video at bottom of the title track of his solo album, “Eraser,” done live at the “secret” Echoplex shows from 2009. Check out Nigel Goodrich’s fine harmony vocals. Yorke (together with Goodrich and the rest of the Radiohead regality) is simply the creative musical titan of the last decade (at a minimum). We’ve yet to witness a false musical move. We had never seen Arcade Fire live before this show at the Greek, which fulfilled all our expectations and then some. Check out their show-stopping (literally) performance of Wake Up below. In May we were Nationalized once again. The National delivered their best album of their careers and continue to evolve as a band live (which we thought impossible after their shows in prior years). We had waited forever to see Pavement, and they did not disappoint at the Fox Theater despite the built up expectations. The reunited Pavement gave it their all, and we were mesmerized. We caught the Avett Brothers at the Arlington in April, and were blown away by the power and poignancy of their live act. Not to be missed. These boys have heart and soul for days. We traveled to Oakland to see Sufjan for the first time and were not disappointed (sure, we would have liked a couple more of the banjo-and-hush era songs, but hey). Sufjan and his entourage of sprites and merry men filled the Paramount with glorious sound. All hail the new Sufjan! Edward Sharpe and the Magnetic Zeros doubled up on Santa Barbara, and we benefited greatly from the other Musical Manson and his band of beatific beauties. We were introduced to their live show at Soho in March and then, as hard as it was to imagine (and overcoming our skepticism), they took their act to a higher plane in July at the Lobero. Don’t miss ’em next time. Joanna Newsom brought her jaw-drop-inducing talents to Santa Barbara at the end of July. We caught the show with our family members that hail from Newsom’s Nevada City, but who had not seen/heard her previously. We were all impressed and moved by this enfante terrible. In a year of firsts, this was the first time that we had seen national-musical-treasure, Randy Newman. He had the Hardly Strictly audience (including the Felice Brothers and many other musicians) in the palm of his hand the whole time with his majestic flood of songs from the last 40 years. We caught the Fruit Bats at Soho on January 27th and their mega-melodic ways held sway with us. It was a great way to kick off the concert year. Local Natives and Love Language brought a great one-two punch to Soho. The Love Language softened us up with the surprise jab, and Local Natives knocked us out with the confirmatory roundhouse hook. We had heard rumblings about this Portland band. When we first saw them as a full band on May 28th we realized what all the huzzahs had been about. We also caught them as a duo when they came through this fall, and while the Laws brothers’ talent is undeniable, we missed the full band sound, which had floored us in May. Here’s to hoping the Laws add some additional players in 2011 to fully realize the power of their live show. Honorable Mention Concerts (in no particular order): Tokyo Police Club–Velvet Jones; The Antlers/Phantogram–Troubadour; Avi Buffalo–Jensen’s; The Lonely Forest/Someone Still Loves You Boris Yeltsin at Muddy Waters; Conor Oberst/Felice Brothers at Soho; Yo La Tengo–Velvet Jones April/2010; Chief–March 14th; Chief/Dawes–Soho; Brendan Benson at Velvet Jones Feb. 2010; Dan Zanes–Campbell Hall; Les Shelleys–Soho; Carolina Chocolate Drops–Hardly Strictly Bluegrass Festival; Gillian Welch–Hardly Strictly Bluegrass Festival; Trombone Shorty–Hardly Strictly Bluegrass Festival; Delta Spirit–Velvet Jones; Built to Spill–Velvet Jones; Woods/Real Estate–Jensens’ Main Stage; Freelance Whales/Watercolor Paintings. Word to the wise: all you computer/machine-based duets out there, hear ye! You have a world of indifference to overcome if all you’ve got is a computer and some gadgets to regale, and you don’t come out from behind or rise above your keyboards, and find some way to better lift us with your act. Beach House fell into this category at Soho, and we won’t waste our time on them live again until they return with a full band. Their stifling act was D.O.A. in the wake of full-throttle, full-instrument openers, Middle East. Hear ye, hear ye! The following were the songs that dominated our playlist in 2010. 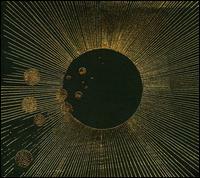 Except for two exceptional cases, we purposefully limited bands to one song on the list in order to spread the wealth and under the theory that many of the bands whose other songs might have warranted inclusion had already received world-wide recognition via our Top 11 Albums of 2010. That’s a joke, son, but them’s the guidelines. You could pick just about any song off of Arcade Fire’s Album of the Year, “The Suburbs,” whether it be Suburban War, Deep Blue, We Used to Wait, Sprawl II, or The Suburbs (continued), or whichever song sent you running from the suburbs. We’ll go with the piano-driven title track, which set the tone for all that would follow. The Suburbs came delivered in the cool new and inventive player below. All hail Arcade Fire. Here again, you could have taken virtually any song off of their fine album, “High Violet.” But we’ll gloss over Afraid of Everyone, Anyone’s Ghost, England, Bloodbuzz Ohio, Lemonworld, England and Conversation 16, and go with the alternate take of Terrible Love that was released well after the album’s release. They got it really right this time and better-conveyed the sound of the song live. Check out the video below of the song, which gives a good flavor for the band and their live show. And then listen again while not watching. Powerful stuff. From an album (“Age of Adz”) that gave us so many great songs (yes even the 25-minute Impossible Soul), including I Walked and Too Much, we’ll go with Vesuvius. Sufjan Stevens 2.0 is conveyed perfectly in this song. It starts sounding like the old “banjo-and-hush” Sufjan, and then slowly moves into the new Sufjan motif, along the way tossing in Paul Simon-esque flutes and eventually blazing the repeated choruses and the singer’s new battle cry. Levitation then follows. We raved about this song previously and we’re sticking to rave. The band and producer John Askew nailed the updated-Joy Division-meets-Go-Go’s gestalt. It’s all there: the Joy Division synth, drum and bass backdrop, slathered with Brandon Laws’ glorious, first-chair guitar. 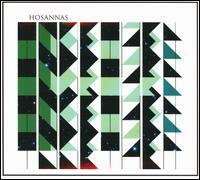 Hosannas in the highest. 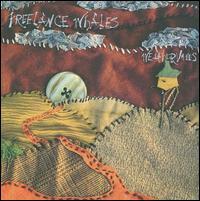 This is another great song that we hailed earlier by Lost in The Trees, the up-and-coming Chapel Hill band. We’re adhering to our earlier accolades. The jury’s still out on this band long-term since not every song on their first album can carry the weight and worth of this song, which is an anthem for the ages. 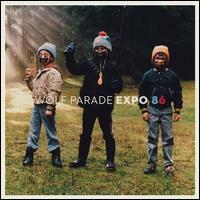 This Wolf Parade song came blasting into our ears in September and stayed in replay rotation for months. And still it persists. And to think we originally thought this was a Killers/Brandon song. As we said in October, we loved the chorus and the stanza which Spencer Krug ends at 2:53 with his mocking “la la lala la la lala! !” That’s voracious verve. This song by The Mynabirds kicked off summer for us with its throwback piano, soul, a bit of grit, and vocals that recalled Dusty Springfield, Bobbie Gentry and other 60s singers. 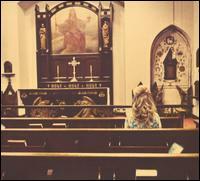 And all of it was given the perfect setting by rising producer Richard Swift (Damien Jurado, etc.). 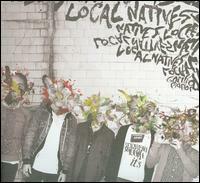 Local Natives have escaped and gone world-wide this year, receiving huzzahs from around the indie globe. We agree and had confirmation when they came to town in September. Camera Talk is just one of many great pop songs off of “Gorilla Manor.” But it’s the first that caught our intention. We loved the inventive song structure and harmonized chorus. We’ll admit that we didn’t catch on to Van Etten until November. But this epic song grabbed us by the lapels and compelled us to listen. Anything even remotely related to The Antlers is alright by us. 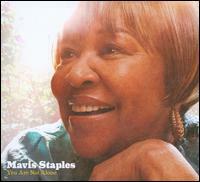 Mavis Staples got hold of Jeff Tweedy (or vice versa) and the two lifted each other on a great record this year. 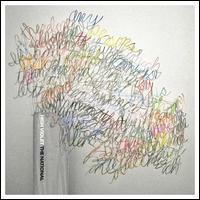 The title song, written by Tweedy, is emblematic of the worth of this joint venture. This year we received a majestic three-disc album from Joanna Newsom and then caught and were enraptured by her performance in July at the Lobero. Newsom’s talent, compositions and delivery are awe-inspiring. She is this generation’s enfante terrible. She’s also not the first you think of when you think of songs of the year because of her song-lengths and complex and difficult compositions. But we couldn’t keep her off the list. Baby Birch is representative of Newsom’s great songs and at 6:22 takes off and cries pop-song wolf. 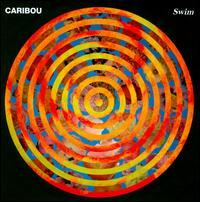 Caribou offered up post-modern, re-imagined disco with aplomb this year. Their song, Odessa, set the standard in that genre despite its downcast lyrics. On Odessa we hear their updated disco with added squawking-vocal effects, scratch- guitar, and polyrhythmic triangle/cowbell/wood playing, and all anchored by a bounteous bassline. 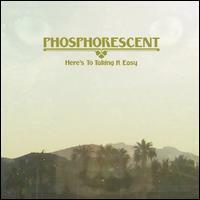 Phosphorescent delivered a phenomenal album this year, and though there were some other song contenders from “Here’s To Taking It Easy,” the song, The Mermaid Parade, paraded its wares more than the other song-floats. We were presently surprised when we caught Australia’s The Middle East open at shows on consecutive nights in April. Their live act throws strikes right down the middle, and we were duly impressed. Especially impressive is their song Blood and it’s tales of lives and loss and resolve. But Blood must be seen live to fully appreciate it. 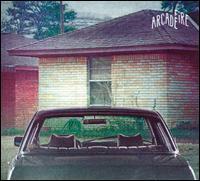 There are moments in the song when they even match Arcade Fire’s grandeur with their horns and strings blazing. We especially like the spectral chorus beginning at 3:24. This large and dynamic Oregon band came out of nowhere this past summer and stormed onto our jukebox. Opening song, Starting Over, started the proceedings well with its sparseness, harmonies (at 1:21 for example), entry of the horns (at 2:06) and build, and then abrupt back-off. Dynamism. For added effect, check out the video of the band performing the song below. We caught the young and inventive band, Avi Buffalo, in April at the late, great Jensen’s Main Stage. Their songs feature complex, extraordinary chords and key changes, with Shins-esque vocals thrown in intermittently and superb musicianship that belies their young ages. There are a bevy of great songs on their eponymous debut record, but What’s In It For? gives a great glimpse of this band and into its future. 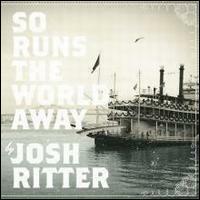 Josh Ritter riddled the musical ranks with another round of well-wrought songs with the release of his album, “So Runs the World Away.” Change of Time is our pick of the Ritter song litter from that record. As we said above, we were smitten by Van Etten in between courses at Thanksgiving. We love this epic song from her album “epic.” Van Etten holds great promise for the future, and we will be sure to keep track of her. Don’t Do It smacks of a desperate plea to a downtrodden soul (“Look me in the eyes, say you can’t do it”). 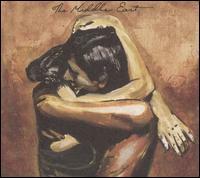 Van Etten sings well of the pain and frustration, ultimately ending in resigned resolve (“I wish I could make you right”). And all the while, the song builds and builds. We are partial to all things Hannah, and so were immediately drawn to this musical confection. We caught Freelance Whales at Jensen’s Main Stage earlier this year, and though they had good stage presence, they’ve got some originality yet to invent. But it’s hard not to like the bouncy gem of a song, Hannah. 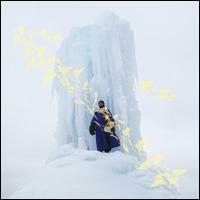 We treasured this year’s Damien Jurado record, “St. 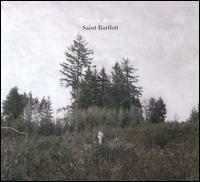 Barlett,” which was produced with authority by Richard Swift. And the opener, Cloudy Shoes, kicked things off perfectly. 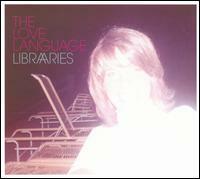 We love the Flaming Lips-meets-Lennon musical landscape. 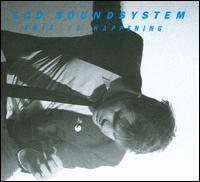 LCD Soundsystem put out probably its best album, “This is Happening,” with the threat that it would be their last. We’ll see about that. The album had a bountiful song list, but we favored the comparatively open and spare Dance Yrself Clean that segued into a great dance song. Tift Merrit merits serious musical attention. She’s delivered great records and songs for a decade and gone somewhat unsung recently after an early round of notoriety. 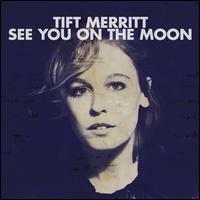 Her latest record, “See You On The Moon,” is filled with great songs, her veritas voice, and a warm sound provided by Producer Tucker Martine (not to mention Jim James’ harmony vocals on a cut or two). We naturally glommed onto the song Mixtape from the record. What music-geek wouldn’t love a song relating a relationship to a musical mix-tape? Merrit and Martine give the song a Muscle Shoals sound that is rolling, gentle and soul-infused. Bravo! Inspirational Verse: Because the whole song smacks of our lives, we couldn’t isolate just one verse, so below is the entire song. “You, how did you get so wise? I take the advice I find in your eyes. Oh like a rare b-side. I’m just making you mixtapes with homemade covers. I’ve taped my heart for you to find. I la la love you. It’s gonna tell you slowly. To hear again, just press rewind. But me, I’ll be the same. Oh, like a rare B-side. I’ll be making you mixtapes with homemade covers. Play it loudly, see my face. I spent all day making for you. We have known the talented Angela Correa for a decade, first encountering her in duet with the equally talented Tom Brosseau and in their collaboration, Les Shelleys. Correa has also produced some great songs solo (Paper Airplanes, etc.) 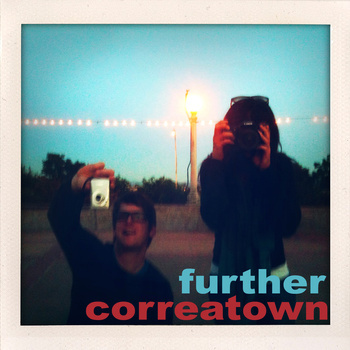 and under the rubric “Correatown.” In October, Correatown released the song Further, which is the first song off of a phenomenal new album (“Pleiades”) that will be released in 2011. Angela and Les Shelleys have previously played in the folk/country/standards space so Further caught us off-guard. Correatown has gone back to the analog-synth sound of the 80s (think The Sundays) and crafted a great song and record that pays tribute and elevates anew the genre. We caught The Love Language when they opened up for Local Natives, and were immediately in love with their live language. They put on an emphatic show live and introduced us to an entourage of fine songs, not least of which is the song Heart to Tell. And check out a gratuitous video of the song live. We couldn’t keep an additional Hosannas song off our Top Songs list, and this song is a bookend of sorts to our #4 song, the Hosannas’ When We Were Young. Instead of the Joy Division gestalt of that song, Open Your Doors opens with Satie-like piano notes that also echo Debussy’s “Preludes.” And then the direct, haiku-like lyrics and the Laws brothers’ harmonies are added. And then the glorious horns enter. And finally Pinback-like guitar work is added to the mix. A beauty. 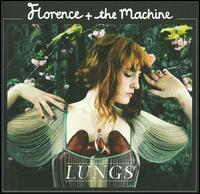 Florence and her Machine have had their way with the musical world this year, diving deep into the Kate Bush/Bjork source. She wowed us with her performances on the awards shows and elsewhere, and her song, Cosmic Love, which was given a great twist by Short Club on this version. Check it out. 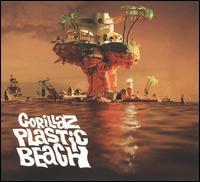 Gorillaz ganged up on the musical world this year with their great and garrulous record, “Plastic Beach.” Though it was hard to pick our favorite song off the album, we’ll go with the soulful melancholy of On Melancholy Hill. 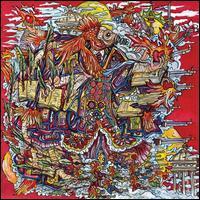 Of Montreal wowed as usual with their stellar album, “False Priest,” their 14th. Our pick of the song-litter was the coquettish, bass-cavalcade, Coquet, Coquette. Turn up the bass and let ‘er rip. Plants and Animals released their album “La La Land” this year, resulting in our being planted in our musical chair a good part of the year with this album on repeat. Record opener, Tom Cruz, is a fine introduction to this record, with its slow rise to anthem proportions. 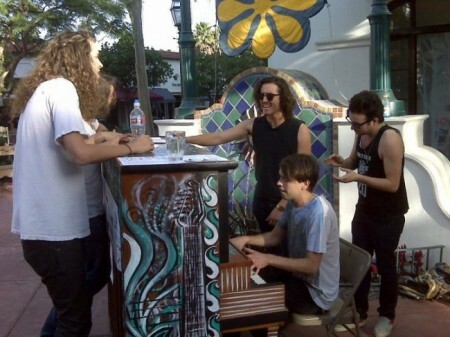 If this band can find a lyricist or seriously hone their wordsmithing skills, Plants and Animals will grow big. Their music and vocals are that good. We caught Beach House live in Santa Barbara in mid-April, and felt the band was beached and bloated despite their only being a duo. Until they add other members, we recommend they stay at home and continue to write stellar songs, such as Norway, off of their critically acclaimed “Teen Dream” album. We love the woozy guitar and drums sound. 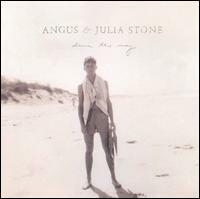 Siblings Angus and Julia Stone delivered a soulful album this year with “Down The Way”. One of the catchier songs off that record was Big Jet Plane, which featured a rare (for this duo) bounding bass line that properly propelled and relayed a jet-fueled relationship. Deep Cotton took us by surprise with their hilarious and poignant song Self! 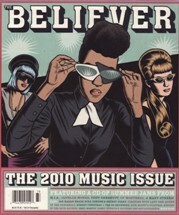 that led off this year’s Believer Magazine Music Issue. With a tip of the musical hat to the Tom Tom Club, the Wondaland crowd delivered yet again. 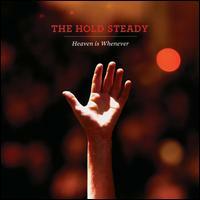 2010 marked the first time we succumbed to the hold of The Hold Steady. Their fine record, “Heaven is Whenever,” was released and the subtle maturation of the band and its sound on the record finally took us in. We particularly liked The Weekenders with its tale and big chorus and harmonies. Flying Lotus dominated the electronica genre this year. Thom Yorke of Radiohead joined the proceedings for And The World Laughs With You. 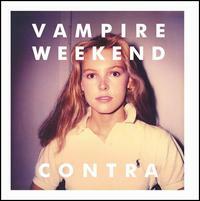 We had the misfortune of catching Vampire Weekend live in a small club late last year. Simply put it was amongst the most disappointing shows of this or any other year. We, like everyone, loved their first record and its worldly pop sounds. Unfortunately, the vampires had clearly had their way with this band live, and the lifeless show left us deadened to the band and predicting a slumping sophomore record in 2010. And for the most part we stand by that prediction. 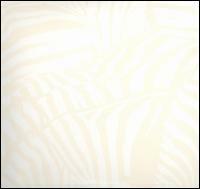 Their second record, “Contra,” was for us a re-tread and mere shell of the first record (Horchata? Really, guys? Come on!). No matter how much we dis-liked the record, however, we couldn’t dismiss the song, I Think Ur a Contra, which got stuck in our craws. One of the most enjoyable and uplifting performances of the year was the seemingly impromptu version of LA band, Honey Child’s, Away from Home, performed live on State Street. This rave version, done live with just piano and group vocals, was sensational. 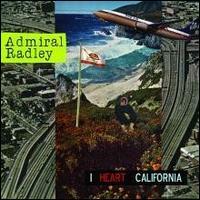 We loved this ode of sorts to California by the newly formed Admiral Radley (consisting of Jason Lytle of Grandaddy and other bands’ refugees). We had not heard this Michigan band until this year, but are thankful to finally meet Breathe Owl Breathe’s acquaintance thanks to their new record, “Magic Central.” We loved their song Swimming, with its arresting musical anodyne and sigh for simpler times. It also hearkens back to one of our favorite bands, Little Wings, and its leader, Kyle Field. 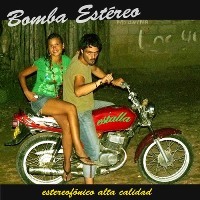 Smokin’ five-piece Colombian band, Bomba Estereo, fired up the airwaves this year (though their album, “Blow Up,” was technically released in 2009) with their mix of traditional Caribbean rhythms, Brazilian and Jamaican music. Fuego is an excellent example of this band’s multiple layers and influences, with reggae featured prominently and Liliana throwing American hip-hop lyrics over the top. It’ll get you movin’. 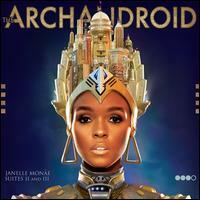 Saving one of the best for last, Janelle Monae lit America up this year with her album “The ArchAndroid.” With assists along the way from Outkast and Diddy, Monae has developed into the shining light in the current pantheon of American soul music. Check out her stunning performance of Tightrope on the Letterman Show. We’ve been off compiling and compressing to weed the unwieldy Top Songs and Concerts of 2010. Soon came as they say…. In the meantime, if you’ve looked at any of the other Top Music of 2010 lists, you undoubtedly have seen mention of the supremely talented Janelle Monae. We wrote about her phenomenally talented and philanthropic Wondaland Arts Society earlier this year in the context of Believer’s 2010 Music Issue. And now we thought we’d pass along some instant gratification, courtesy of the mega-talented Ms. Monae. She’s got it all folks. Check out her performance on Letterman (and in particular her voice, her dance moves beginning at around the two-minute mark, and the James Brown cape act that closes things out). After the Letterman video, check out her impressive cover of Smile . She is going to light it up for years to come. It’s that time of year again. The compilers are compiling and the spin-sters are spinning, and all are sifting their memory banks and external hard and cloud-driven drives to discern what music reverberated in their worlds this year. We’ve done the same and come up with our favorite albums, songs and concerts listed in the order of preference. In this Part I we give you our favorite eleven albums of the year. Why eleven albums? Tough to say, really, except that was simply the number of albums that resisted all efforts to de-list them. This year there was music that catapulted joy and others that dredged tears. Still others smacked headlong through the stratosphere. And others dropped us behind both friendly and enemy lines. It’s the conundrum you’re invited to each year. What’s your favorite music? Be careful now, others are watching and listening. It might get subjective, and it might get loud. In all honesty, this record’s theme took us back and aback. We grew up racked and saddled by suburbia. For heavens sake, we WERE suburbia. We were raised in a shot-glass shack behind the Kmart, adjacent to a flood basin and city limits signs. We WERE the Blue Light Special. Or not so special. The bottom line: this record roundly resonated deep within us. While some of you grew up in the inner city or the inner sanctum, most of us were part of the 60s and 70s housing belch that begat bewilderment (every time they sing the word “sprawl,” which is regularly, it makes your skin crawl). We were “boomers” or, worse yet, “sons of boomers.” Win Butler, Regine and crew give us our story back, framed in varied and brilliant (but subtly so) music. Others have tried to tell this tale, but it took a couple of ex-pats and other Montrealians to give it perspective and really level (with) us on American suburban life. Arcade Fire. On fire. Again. Highlights: The Suburbs, Suburban War, Deep Blue, We Used to Wait, and The Suburbs (continued). We have a soft spot for these hard Brooklyn lads. 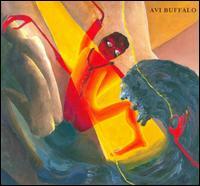 The album grabbed us immediately by the ears and tendrils, as with most National recordings. But until we saw these songs presented live, we had no idea the worth and weight of this record. If you want superb musicianship, composition, passion and relevance, The National are for you. High Violet only surprised by managing to take their discography up yet another notch. Highlights: Terrible Love, England, Afraid of Everyone, and Conversation 16. 3. 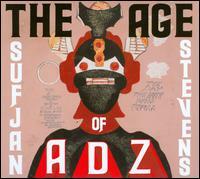 Sufjan Stevens–The Age of Adz. 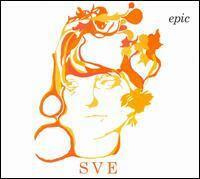 This album seemed intended as both a smack to Stevens’ ever-ardent fans and a fob-off to the world. But Stevens was just going about his business as usual, though taking it to a new level and magnifying it with new structures and overlays. Filtered from the electronica-symphonica backdrop, we hear the usual, perfect melodies strewn throughout this justly ostentatious record. So get over the length of the songs (not to mention the 25 minute opus), and check out the elaborate evolution of a still-yearning artist. We admit that we doubt the ultimate merit of Creole “prophet,” Royal Robertson, and his story that provides the backdrop for this record, but there’s enough humanity here for all humans. It’s also the soundtrack for Revelation, so check out the new Revelator. Highlights: I Walked, Vesuvius, Now That I’m Older, Impossible Soul, and Too Much. 4. 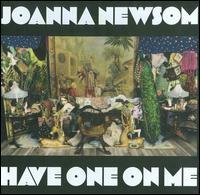 Joanna Newsom–Have One On Me. We admit that Ms. Newsom’s voice is an acquired taste. But after spending some effort, the purchase pays back the investment in spades. With the three-disc recording, “Have One On Me,” Newsom gave us a dense and astonishing opus, filled with Newsom’s gifted vocals, harp and piano playing and complex song arrangements. As usual, the music is layered, kaleidoscopic, and epic in scope. 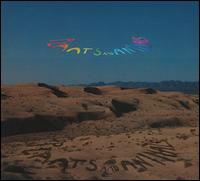 What impressed most on this record was the awe-inspiring attention to detail, and especially lyrically. Her prior efforts, while brillig, had been comparatively jabberwocked and obtuse. But with the new record, Newsom’s lyrics have evolved and become more cogent and discernible. Chapeaux to Joanna! Highlights: ’81, Baby Birch, Good Intentions Paving Co., In California, Easy, Go Long and Soft as Chalk. With their last few albums, The Walkmen have matured and evolved as a group, and “Lisbon” is positive proof. For several months now, Lisbon has dominated our rebellious jukebox. In addition to the usual song intensity, on Lisbon the band framed their songs in a spare, reverb-soaked production that deftly drew out the songs’ hooks, subtleties and dramas. And we even hear on Lisbon intermittent murmurs of optimism and assurance. 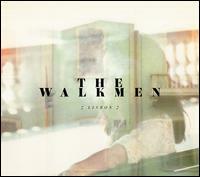 The Walkmen have added immensely to their already great discography. Highlights: Juveniles, Angela Surf City, Woe is Me, and Torch Song. Yeah, these are the anime mofos fronting Damon Albarn and a stalwart cast (Lou Reed, Bobby Womack, Mick Jones, Paul Simonon, etc.) . Just make believe, really, so why should you care? Really? Come on! Damon Albarn has been amongst the best songwriters of the last decade-plus, and with “Plastic Beach,” he is particularly animated. These are no cartoon songs. What may first appear to be mere storyboard and cels, ultimately hits hard regarding the world’s environment and its effects on our internal environment. And the music is a polyglot, with something for everyone. Tour de force, not farce. Highlights: On Melancholy Hill, Broken, Some Kind of Nature, and Empire Ants. Local Natives burst onto the scene this year with their critically acclaimed record “Gorilla Manor,” and their mega-melodic songs, gregarious group vocals and engaging instrumentals (including pounding, polyrhythmic, percussion). In the vocals department, they out-Fleet Fox the Fleet Foxes. In addition to the vocalese, their songs are laden with marvelous melodies and inventive, driving, dynamic song structures (akin at times to Vampire Weekend and Talking Heads). Highlights: Camera Talk, Airplanes, World News, and Cards & Quarters. Damien Jurado has been revered on the indie scene for quite some time, penning intense and emotionally authentic songs that comprise one of the strongest catalogs on the scene. But on “Saint Bartlett” Jurado finally found the perfect complement in producer Richard Swift. Swift’s production draws out and diversifies Jurado’s well-wrought songs and, as a result, they shine through the haze. There’s everything from Spector-esque songs, to Flaming Lips-ish moments, to Neil Young-like guitar flourishes, to the usual deft-Damien ballads. And lyrically it’s another deeply contemplative set of lyrical Jurado El Dorado. Highlights: Cloudy Shoes, Rachel & Cali, Arkansas, Kalama, Throwing Your Voice, and Kansas City. 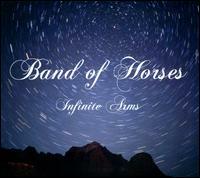 Band of Horses followed up their fine sophomore album (Cease to Begin) this year with their third long-player, “Infinite Arms”, and it was infinitely armed with great music and delivery. On Infinite Arms the band bolstered their sound and supplemented their normal guitar-driven, reverb-heavy lead vocals, with Beach Boys-esque harmonies to great effect. Our only regret is the continued bland and obtuse lyrics. If songwriter, Ben Bridwell, can move beyond the McKuen-esque lyrics and find a more original voice that we can hang onto, they will be moving up the list greatly. Highlights: Laredo, Older and On My Way Back Home. We were floored when we first heard this Portland band (live at the end of May) and subsequently became fervent fans of their dynamic and unique delivery live and on their record, “Song Force Crystal.” We were drawn in by Brandon Laws’ angular guitar-playing and the band’s complex compositions and uniquely harmonizing vocals. Then Hosannas upped the ante and released one of the best songs of 2010 (When We Were Young) and a month ago delivered their phenomenal John Askew-produced record, “Together.” Suffice it to say (for now) that this is extremely heady, complex material rendered by the brothers Laws and the band, with perfect production by John Askew. We have been trying to complete a post that can do this fine album justice, but with each listen we hear new elements and nuances that warrant mention. This is one of those records that continues to reward with subtleties and bracing brilliance even after the 20th (or so) listen. Do yourselves a favor. Go buy “Together” here and spend the rest of the listening year listening in. Now let us get back to completing that dang post. Highlights: When We Were Young, Open Your Doors, Hello Moon, The People I Know, John Pilgrim, and Multi-Chamber American Future. 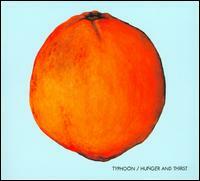 Oregon’s Typhoon came out of nowhere and stormed onto our playlist for a good part of the year with their record, “Hunger and Thirst.” They are literally a big band (16-19 members) with a big sound to match their passionate, well-wrought songs. Taking various pages from the Edward Sharpe/Arcade Fire/Sufjan Stevens/Cake books of music, Typhoon uses its group vocals, horns, strings and dynamic feel to great effect on “Hunger and Thirst” (the title drawn from Ionesco’s final play?). While they are not, as yet, as musically adventurous as fellow Oregonians, Hosannas or Menomena, their songs are carefully crafted and filled with fine melodies and ardently delivered. Highlights: Starting Over (Bad Habits), Ghost Train, The Sickness Unto Death, White Liars, Body of Love, and Belly of the Cavern. Honorable Mentions (in order): Plants and Animals–La La Land, Angus and Julia Stone–Down the Way, Phosphorescent–Here’s To Taking it Easy, Chief–Modern Rituals, Avi Buffalo–Avi Buffalo, Flying Lotus–Cosmogramma, The Felice Brothers–Yonder is the Clock, New Pornographers–Together, Josh Ritter–So Runs the World Away, Belle and Sebastian–Write About Love, Titus Andronicus–The Monitor, and The Hold Steady–Heaven is Whenever. There you have it. Bring on 2011. And let’s see your favorites for 2010. It was exactly one year ago to the day that Girls came to Santa Barbara and put on one of the best shows of 2009 at the intimate Muddy Waters. Touring behind one of the best albums of 2009 (oddly, entitled “Album”), and despite following a fine opening set by The Morning Benders, Girls tore the roof off the joint and the crowd went rightly wild. 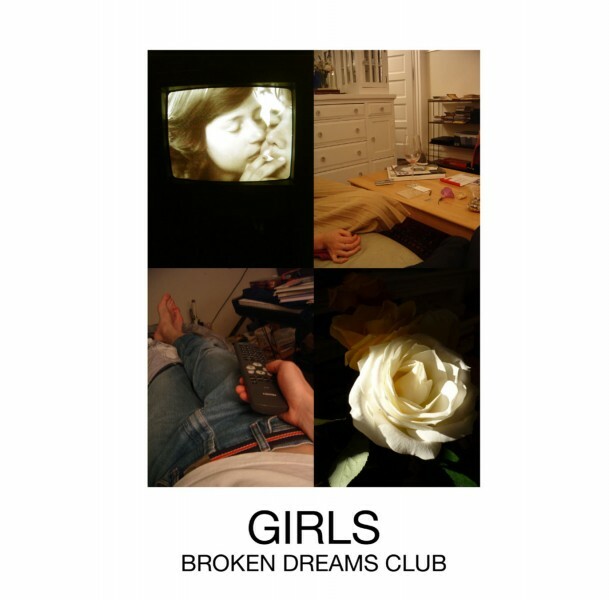 We can’t wait for their next visit, and particularly after becoming intimately immersed in their EP, “Broken Dreams Club,” which they released at Thanksgiving. On this EP the band delivers seven new songs that confirm and raise the ante on the pop perfection found on “Album.” We hear a more polished production that only heightens the band’s sonic sensation. Check out Heartbreaker off of “Broken Dreams Club” below. We’ve been to the mountain top, but while we were there we failed to check out some of the music. Lo and behold there were musicians and harmonists way up there. Please check out what we (and you may have) missed. 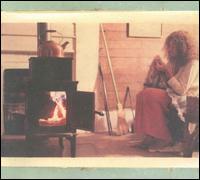 If you haven’t heard, give ear to Mountain Man, three gals out of Vermont. They released their first record, Made the Harbor, in July and it’s fleetly gathering buzz. If the song below piques your interest, check out their amazing accappela acumen during their demonstrative Daytrotter session. 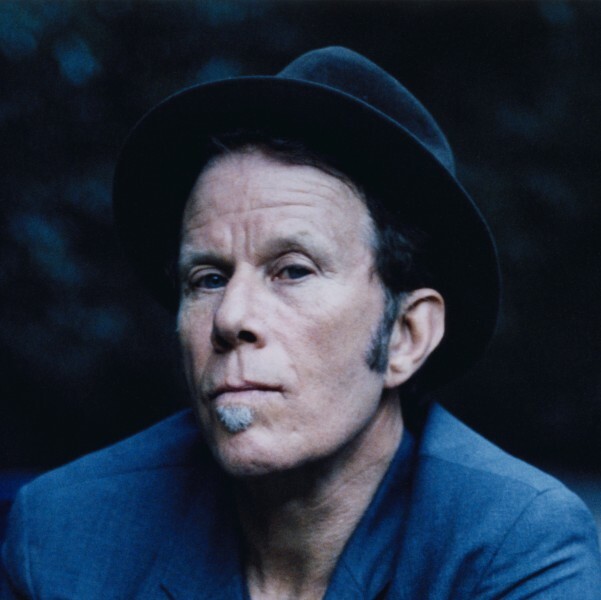 One of our favorite songwriters, performers, and interviewees is Tom Waits. With respect to the latter, his television interviews/performances are legendary, dating from the mid-70s on The Mike Douglas Show and the underrated Fernwood Tonight. This is one very talented, bright and hilarious lad. And it’s the stellar string of Letterman Show performances over the last 20 years that best capture the humor and live performances. He’s a national treasure, plain and simple. Check out the 1976 piano performance and interview with Mike Douglas to start and then his Fernwood Tonight (Piano Has Been Drinking) spot, and then a series of Letterman segments, and at the very bottom a Conan spot and then a stunning delivery of Tom Traubert’s Blues. And our hope is that you will keep hitting the search hard, because there is a plethora of perfection delivered by this perfect performer. Here’s part 2 to that 1983 Letterman segment. Check out his performance of On The Nickel. If you aren’t moved by this song, starting at 1:59, you simply have no soul. We knew we’d heard that voice somewhere before. Turns out Sharon Van Etten sang backup vocals on The Antler’s auspicious “Hospice” album from last year. Van Etten released her second record “epic” two months ago, and it is currently occupying copious amounts of our musical jukebox. 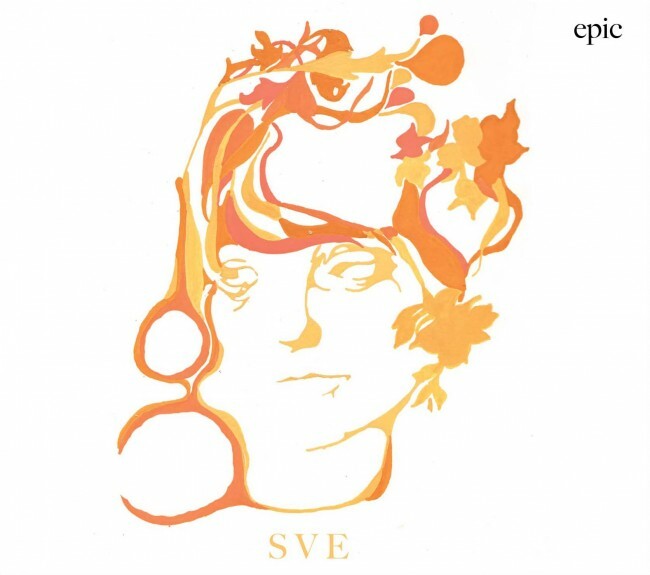 Though only a sub-“epic” seven songs in length, Brooklyn-based (of course) singer/songwriter Sharon Van Etten nonetheless delivers epic proportions of musical art on this record. Her voice is pure but edgy (think Kristen Hersh or Cat Power), and conveys well the honesty of Van Etten’s rampant lyrical pathos. 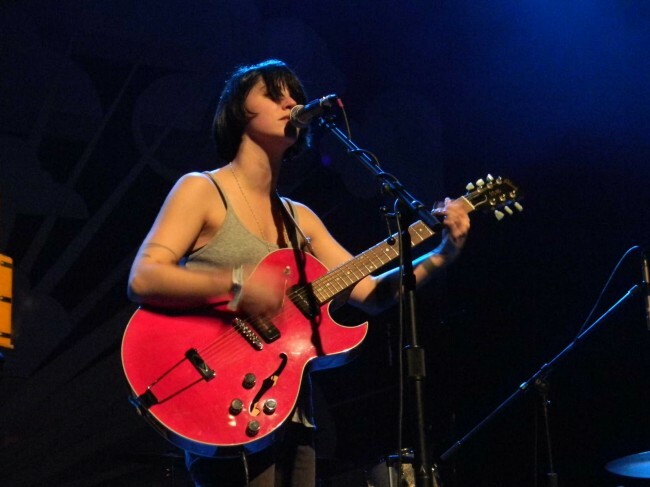 As opposed to her first record, Van Etten is backed on “epic” by a full band and enhanced with enticing interstitial instrumentation (harmonium; plucked guitar) and harmony vocals. Her delivery manages to make the confessional lyrics levitate. Our favorite song off “epic” is the transcendent final song, Love More, which is built around a simple chord pattern that ebbs and flows perfectly throughout and adds mournful ghosting-harmonies that embellish the burnished beauty of the song. As opposed to Love More, another of our faves, Don’t Do It, has a heavier, muddier electric guitar/harmonium mix that borders on anthem in the oft-repeated chorus. We hear the influence of her interaction with The Antlers. Don’t Do It smacks of a desperate plea to a downtrodden soul (“Look me in the eyes, say you can’t do it”) not dissimilar in theme to The Antlers’ song Wake. Van Etten sings well of the pain and frustration, ultimately ending in resigned resolve (“I wish I could make you right”). Check out Love More and Don’t Do It below, along with the video of her performing Love More solo. And then check out the great segment from Shaking Through. Stunning stuff. Watch Van Etten perform Love More below. You can also check out her recent Tiny Desk Concert on NPR here.